For those who feel a little more adventurous I'm offering an introduction into Wild Camping and mountain photography in the Lake District. 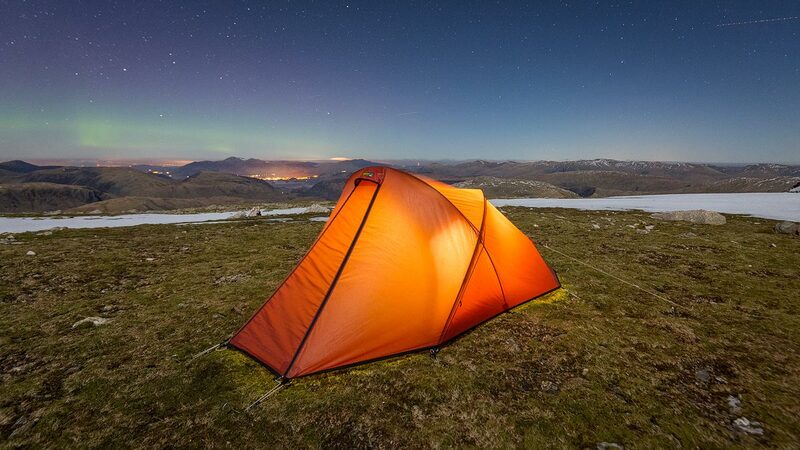 Wild camping is a perfect way of capturing mountain scenery and experiencing the wonder of a couple of nights spent on the high Lakeland fells. 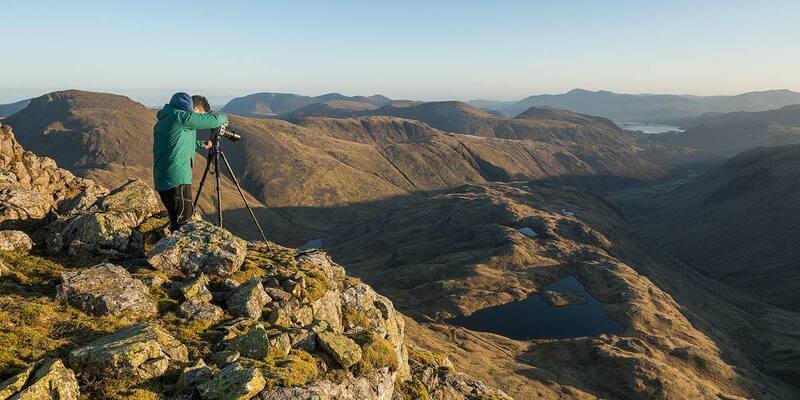 I will be teaming up with an old friend and mountain photographer Alex Nail who along side being a qualified mountain leader will be on hand to teach photography and outdoorsmanship. A deposit of £100 is required to secure your place, the remaining £130 will be required 4 weeks before the start of the workshop. Whether you need artistic or technical support, we will be on hand every step of the way to help you achieve the images you want to capture. We'll have plenty of time in the field to maximise 1-2-1 tuition (only 6 participants to 2 of us) with opportunities to photograph a wide variety of mountain scenery. We will meet early afternoon in Keswick and after a short drive we'll begin our hike to Sprinkling Tarn. Once we arrive we'll set up the tents and have dinner before photographing the sunset. Depending on the conditions, we'll also attempt some night photography. The biggest advantage of wild camping is being in the prime spot for sunrise, depending on conditions we're in a prime location for some great vantage points. After a breakfast at the camp, we'll pack up on to our next spot, stopping on the way to photograph the landscape. We'll set up camp near Bow Fell before going out to shoot sunset. After sunrise from one of the Lake District's most impressive fells we'll start our hike back to the cars to conclude the workshop. (Optional) Pub lunch and a chance to review the trips images. 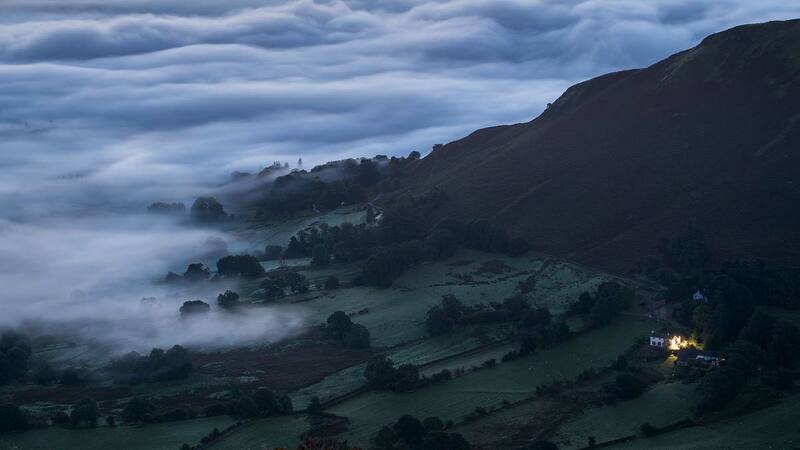 As you can expect, the weather in the Lake District can be uncertain. Even in high summer when the valleys can bring people out in shorts and t-shirts it can be a very different story on the summits. With this in mind, warm and waterproof clothing is essential. Try to keep these as lightweight as possible (remember, you have to carry it all up with you!) A strong pair of waterproof hiking boots is strongly recommended as many of the trails in the fells are very rugged in parts. You can hire Rab Neutrino 400 sleeping bags and Neo Air Xtherm sleeping matts, stoves and (shared) 2-man Terra Nova Quasar tents, perfectly designed for high mountain use. The hire price for all the items is £30. I will provide a complete kit list but the major item to pick up is a 60-70L backpack. For backpacking photography I would recommend to keep your camera equipment to a minimum. Camera bodies, lenses, tripods and accessories can quickly add up to a significant weight. I usually take with me a wide angle (16-35mm), mid range prime lens (50mm), telephoto (70-200mm) and a lightweight tripod. If you have any questions regarding equipment please don't hesitate to contact me. No prior mountain experience is necessary but a good level of fitness is required. As we will be camping on summits you should be able to carry a 15-20kg backpack up as much as 800 meters and hike for up to 4 hours. If you have any concerns at all about your fitness then please contact me. We'll be meeting in Keswick at 2pm. Keswick is easily accessible by road or public transport. If you have any questions about travel arrangements please let me know. We will be camping throughout the trip but if the weather turns bad we will stay in a bunkhouse/hostel overnight.